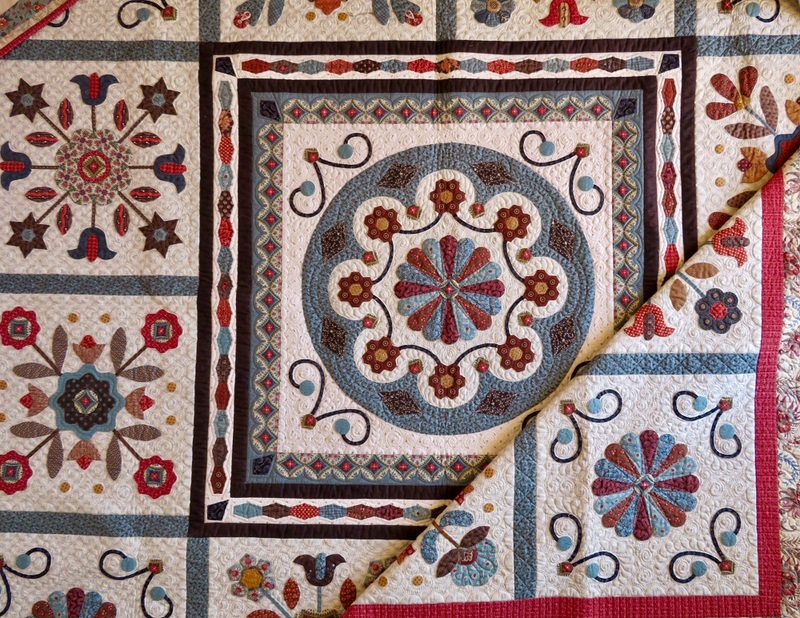 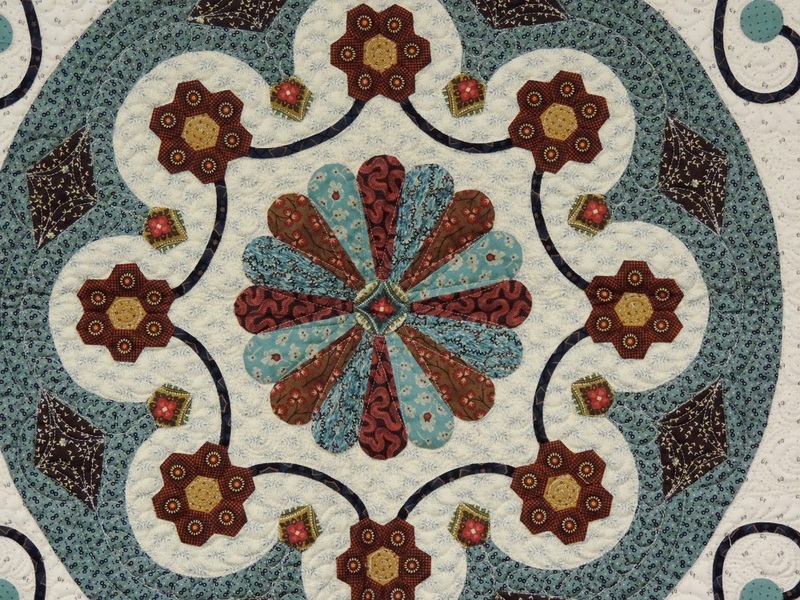 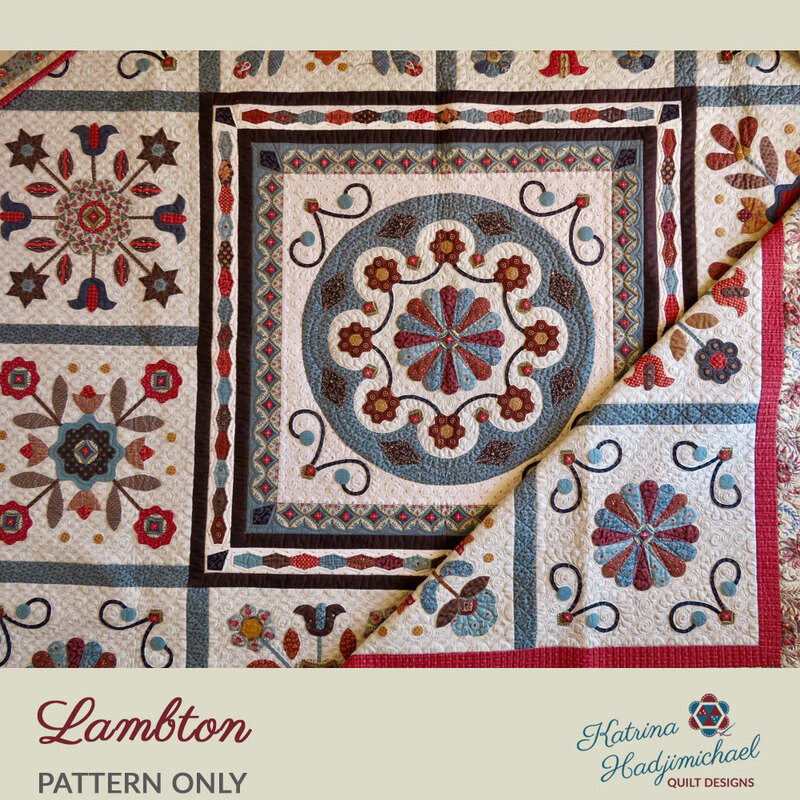 The centre block of this quilt was inspired by the shape of the stained glass rose windows in British cathedrals. 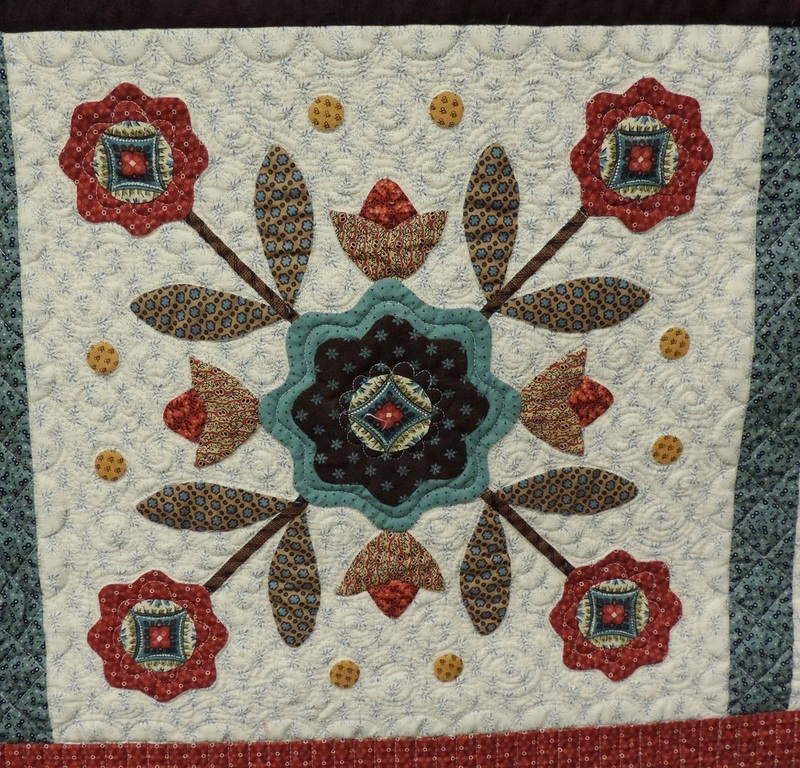 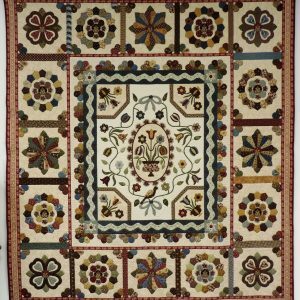 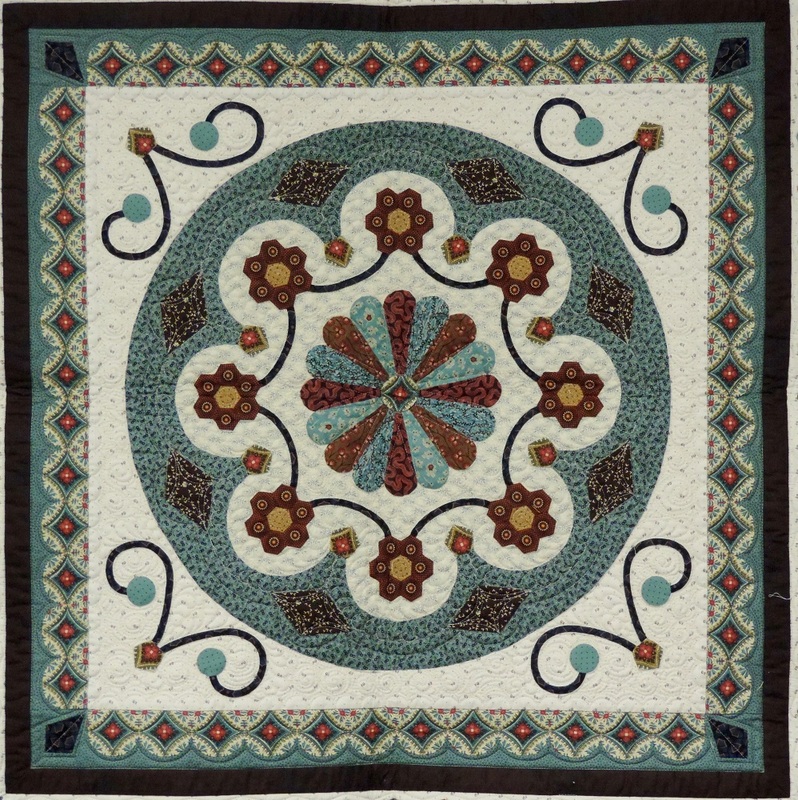 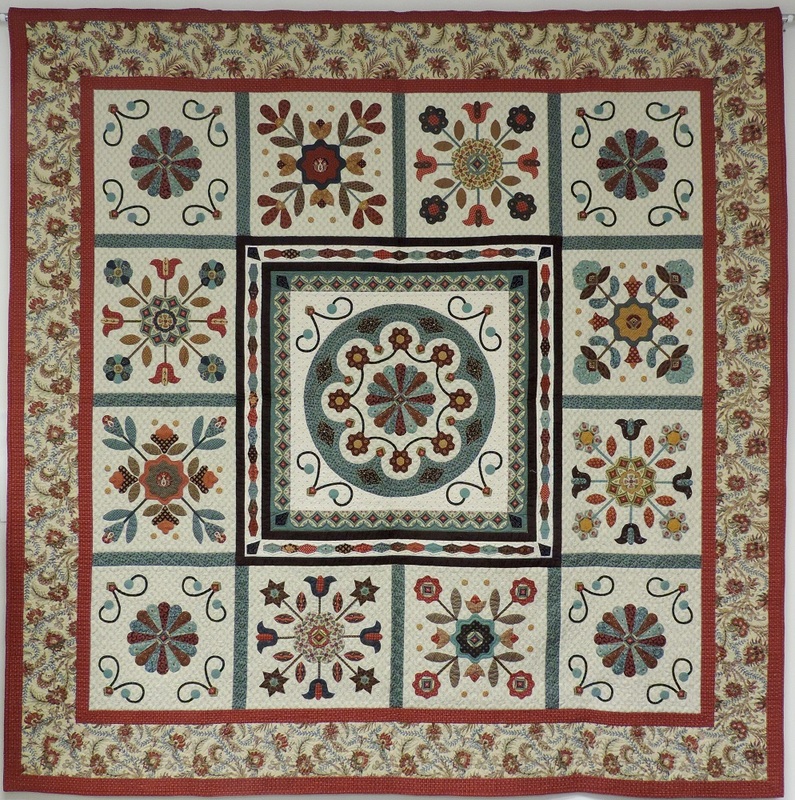 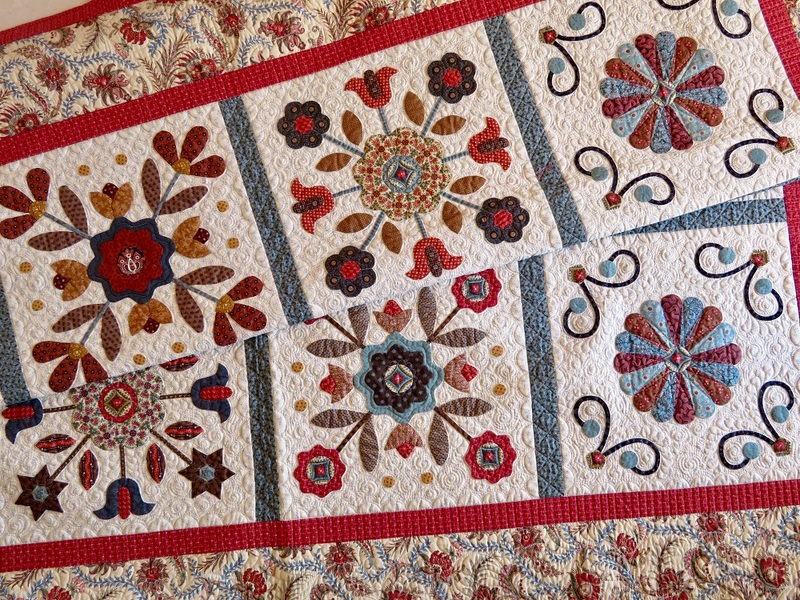 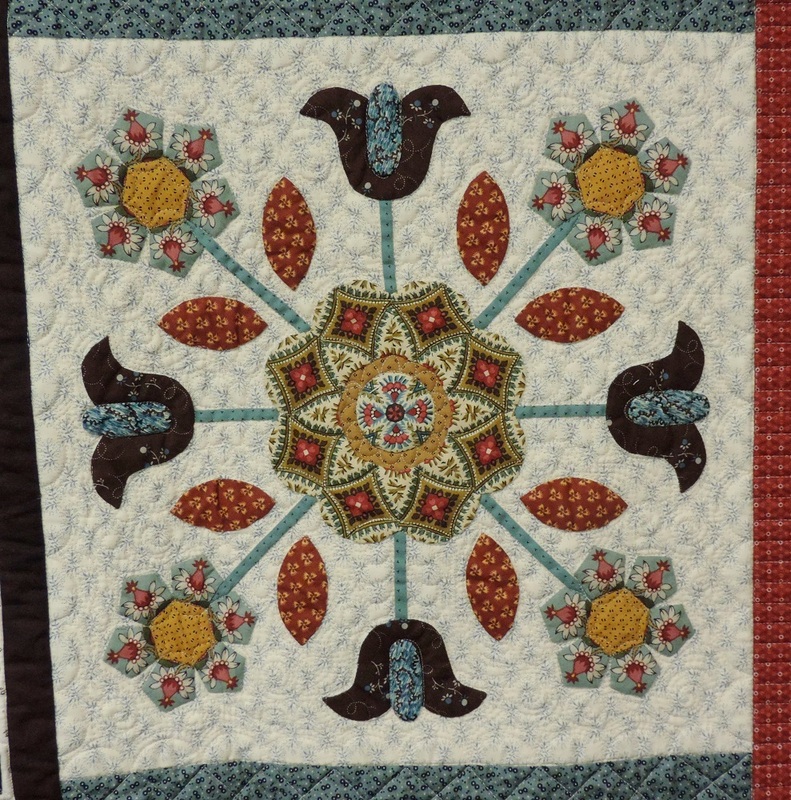 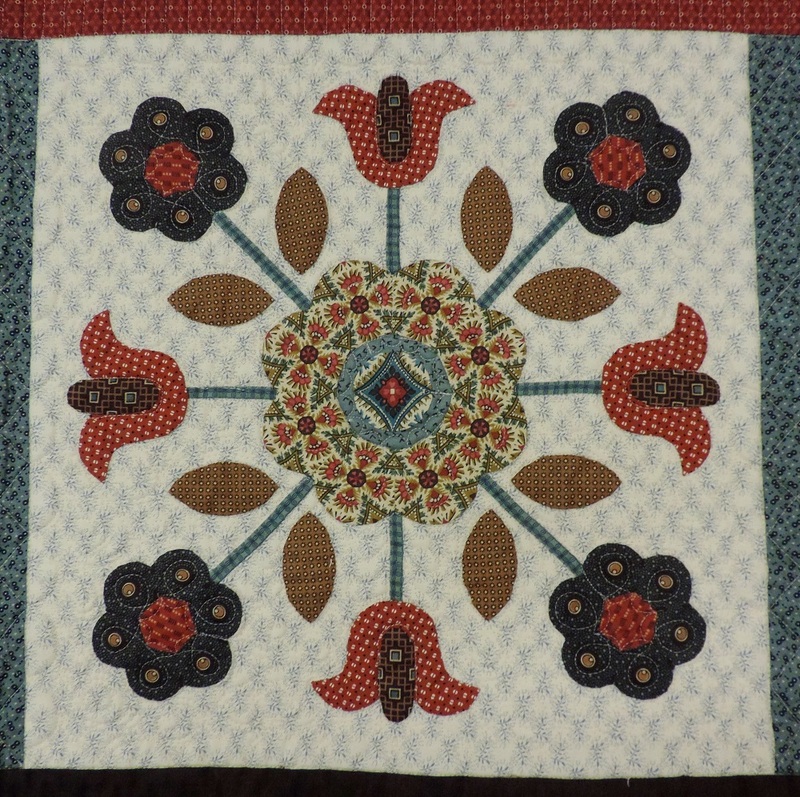 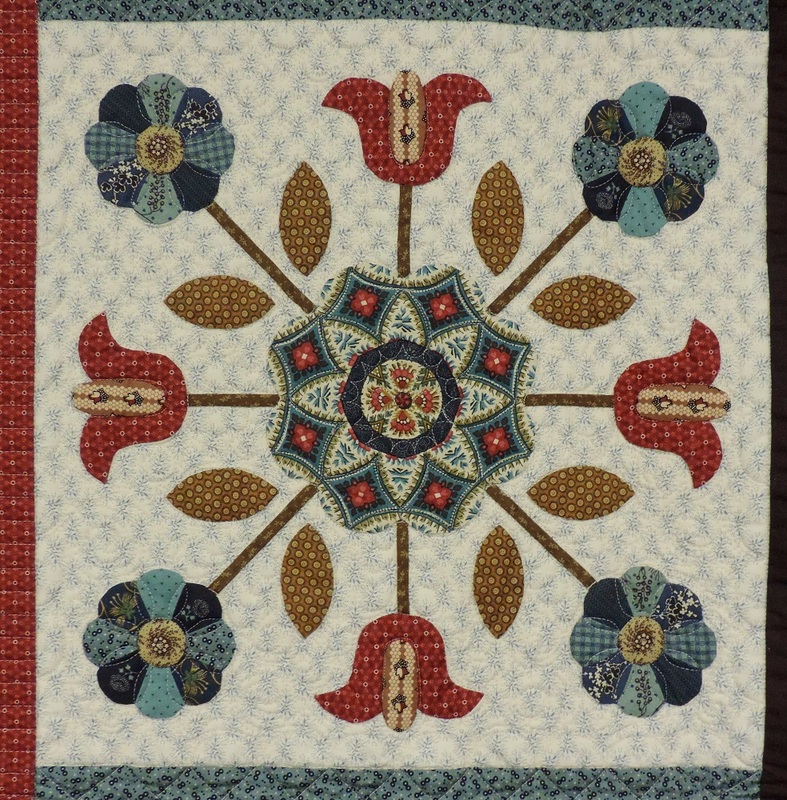 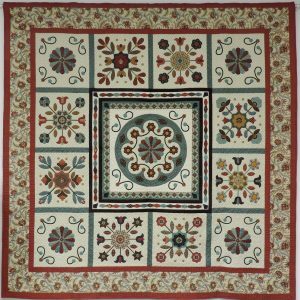 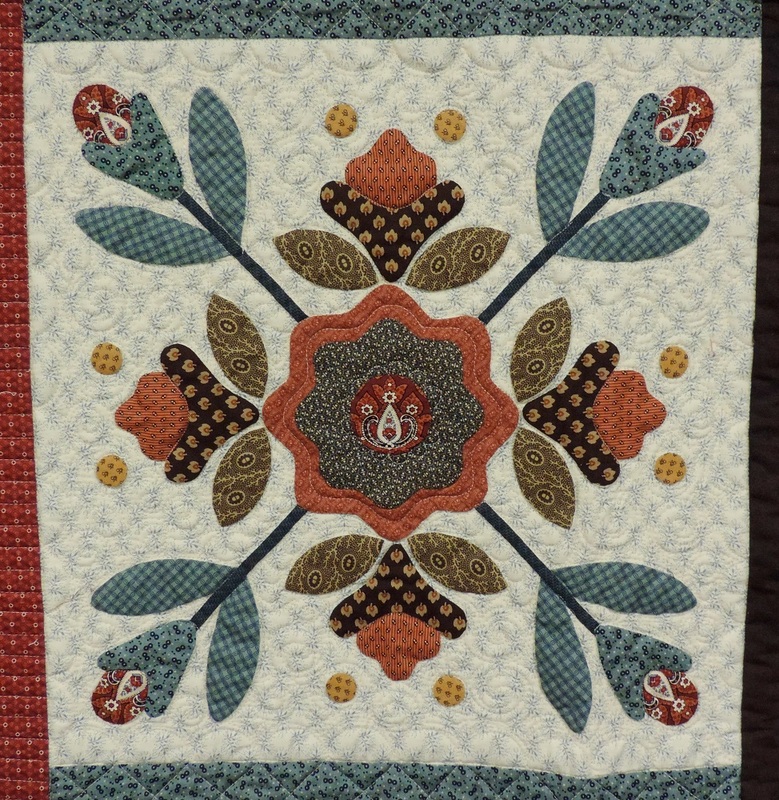 The quilt features sixteen different English paper pieced template shapes throughout a mix of borders and blocks. 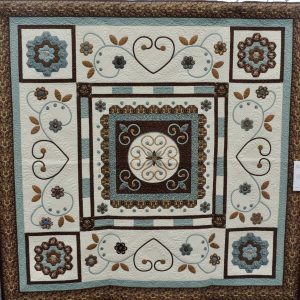 There is a great variety of designs in the outside border of blocks. 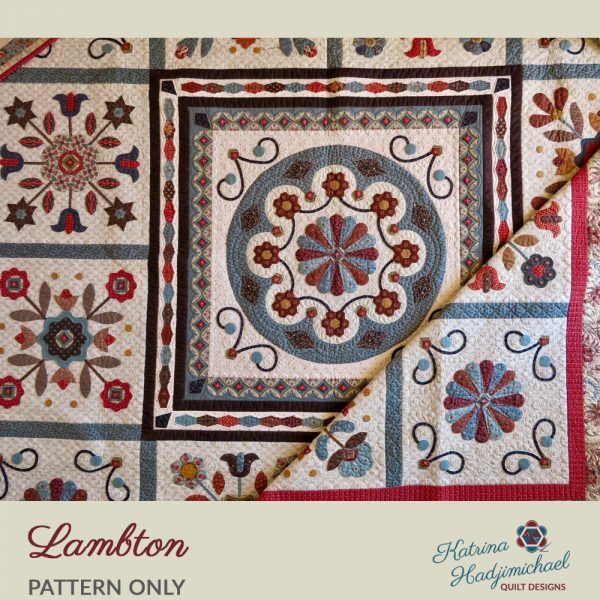 The pattern includes twelve pages of typed notes and eight A3 pattern sheets of full sized diagrams and instructions.